Los Angeles, CA – On Saturday, July 8, 2017, Korean Churches for Community Development (KCCD), soon to be Faith and Community Empowerment (FACE), hosted its 16th Annual Homeownership Fair at Southwestern Law School in Los Angeles. With over 180 in attendance coming from 25 different cities, the fair provided an opportunity for home buyers and homeowners to meet with various mortgage lenders and housing organizations, along with gaining valuable information on the down payment assistance programs, the home buying process, getting free home repairs, and mortgage assistance programs. For the past sixteen years, KCCD/FACE has educated and counseled over 8,800 potential home buyers in obtaining homeownership. The 16th Annual Homeownership Fair was held in the historic Bullocks building at Southwestern Law School. “I really want to acknowledge our partnership with Southwestern Law School. We are very honored to have Dean Susan Prager to be with us.” Hyepin Im mentioned. Dean Susan Prager was the former dean of UCLA Law School prior to coming into Southwestern Law School. She shared the value of working with KCCD/FACE. “One of the reasons I wanted to connect to this wonderful organization is that Southwestern, from its inception, cared deeply about making legal education accessible to everyone, and that included immigrants and working people.” Southwestern Law School continues to be an accessible educational institution for all people in Los Angeles. The School provides evening programs devoted to those who are working, two-year accelerated programs, and traditional day programs. Many of the local judges and those involved in the community have graduated from Southwestern Law School. He stressed that although the homeownership rate is “not as ideal”, that legislature has been working on to get more funding to build affordable homes, providing a streamlined process, and continuing to provide tax credits to make homeownership more obtainable. A wealth of information was presented, which included such topics as “Why Buying a Home Can Be the Best Decision You Can Make”, “Government, Lender Down Payment Assistance, and Other Assistance Programs”, Knowing Your Rights: Housing Laws and Responsibilities”, “Becoming Mortgage-Ready: What You Need to Know”, and “Keys to Your Home and Keeping It”. One of the key reasons of buying a home is the investment made, as opposed to renting. 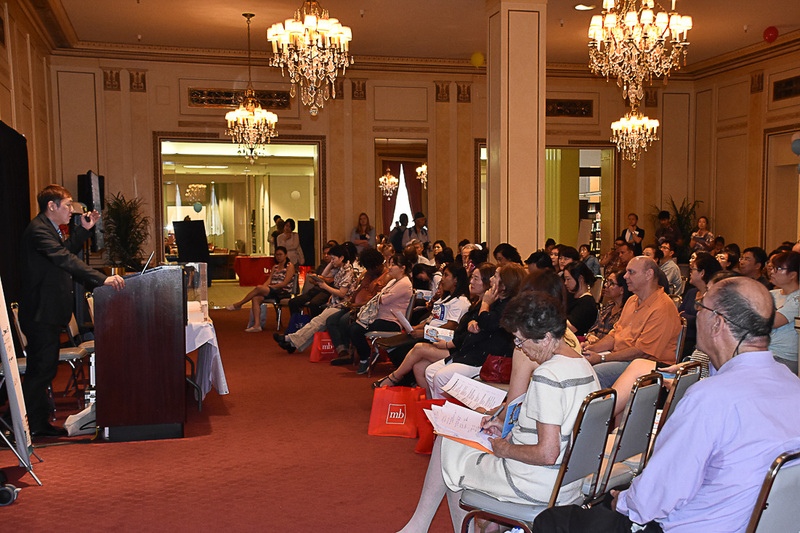 “Your house becomes your bank,” Cindy Wu, Realtor®, CRS, CIPS, ABR, SRS of The Cindy Estates Group shared. “As home prices historically increase, it is a method of building wealth in addition to getting tax benefits and savings – For example, a homeowner saves 96.4% compared to renting within Los Angeles. But it is equally important to find a great real estate agent to get you to the right home. Finding a Realtor who is a “top negotiator” and understands the various down payment assistance programs and products is key,” Cindy Wu mentioned. Through the City of Los Angeles, their Low-Income Purchase Assistance (LIPA) Program will provide up to $60,000 in down payment and closing cost assistance for first-time home buyers. In order to qualify, income must be at 80% or lower area median income (AMI) based on household size. Attending a homebuyer education class is also required to qualify as well. “KCCD/FACE has a homebuyer education program. And that’s also very important in learning about the benefits of homeownership,” George Guillen stated. In addition, the City of Los Angeles has funds available for its Mortgage Credit Certificate (MCC) Program, a dollar for dollar tax credit based on the mortgage interest paid on a yearly basis. By qualifying for the MCC Program, this can help qualify for a higher mortgage loan amount. He also shared some "very exciting changes" coming in the next few months. The City of Los Angeles will be increasing the amount of assistance in the LIPA Program from $60,000 to $90,000 in the coming months. An additional down payment assistance program for moderate-income home buyers will also be available for those whose income is higher than 80% AMI but are less than 120% AMI. The assistance will be up to $75,000. Union Bank provides a community loan product called Economic Opportunity Mortgage (EOM), which finances up to 97% of the purchase price of the home. In addition, Union Bank participates in the WISH program, a 3 to 1 match savings, which will match up to $5,000 for an additional $15,000 in down payment. For those that are not low-to-moderate income, Union Bank offers jumbo loans, with minimum 10% down payment requirements, to offer up to $1.7 million without mortgage insurance. U.S. Bank also provides a 97% financed mortgage program called the American Dream. In addition, for medical professionals who are coming out of residency, a Doctor’s Loan program is available to better qualify for a mortgage. Up to $5,500 closing cost assistance is available, and currently there is a promotion in which new U.S. Bank checking accounts can obtain an additional $1,000 for assistance. Boston Private provides a 100% financed mortgage with no mortgage insurance based on income requirements, but also provides a 97% financed mortgage within the Los Angeles and Ventura County areas. Boston Private also has its own down payment assistance program called the Equity Builder, providing up to $11,000 for down payment and/or closing costs. An additional $2,000 can be given for closing costs based on income requirements. HSBC Bank provides a community loan product called CommunityWorks, a 97% financed mortgage, but also provides up to $7,000 as a grant to be used for closing cost assistance. Bank of the West uses the Fannie Mae HomeReady mortgage loan product, which has 97% financing available. Government and lender down payment assistance programs available can cover the down payment requirements, leaving only $500 out of pocket for the home buyer in addition to reduced mortgage insurance. Borrowers can also use non-borrower occupants who are not on the mortgage to help qualify for the loan. They also offer a jumbo loan, with a higher debt-to-income ratio and a minimum of 10% down payment to qualify up to $1 million. MB Financial Bank uses the Fannie Mae HomeReady mortgage loan product as well as the Freddie Mac HomePossible mortgage loan product. In addition, a Doctor’s Loan program is available, with flexible debt-to-income ratios. MB Financial Bank also offers a DACA program to obtain an FHA mortgage, for home buyers who are on a work visa through DACA. California Housing Finance Agency (CalHFA) has its own down payment and closing cost assistance programs available, along with their own conventional and FHA mortgage loan products. Down payment assistance is 3.5% through its MyHome program along with 3 to 4% in closing cost assistance. As a state-wide institution, they cover all California counties, not only Los Angeles. To get more information and connected to these programs, coming to a HUD-approved housing counseling agency, like KCCD/FACE is the first place to start. KCCD/FACE Development Manager Moses Kim presented on KCCD/FACE’s housing program. As a “one-stop shop” to obtain resources and assessing mortgage-readiness, the homebuyer education classes and one-on-one pre-purchase counseling will help better prepare in the home buying process and obtain sustainable homeownership. “Home buyers are one-third less likely to fall behind once becoming a homeowner by receiving pre-purchase counseling,” stated Moses Kim. KCCD/FACE counseling is free of charge and can schedule an appointment by emailing KCCD/FACE at info@kccd3300.org. Moses Kim also presented on credit tips related to homeownership. He shared that credit scores are an important factor to qualify for a mortgage. Minimum recommended scores for different mortgage loan types include FHA at 620 and conventional at 660. For those who have credit issues, the two key factors that could be affecting the credit score include delinquencies and holding a large amount of debt. A key tip - by paying on time and reducing the debt balances, credit scores can increase significantly. In addition, for those who have not regularly checked on their credit report, a free way to check is by going to www.annualcreditreport.com, where once a year can get credit reports from the three credit bureaus – TransUnion, Experian, and Equifax. For those who are experiencing high credit card debt, KCCD/FACE has partnered with Safeguard, a national credit counseling organization, to provide debt consolidation in eliminating debt within 60 months. Another Southwestern Law School alumni, Javier Beltran who is a Managing Attorney at the Legal Aid Foundation of Los Angeles (LAFLA) spoke regarding tenants’ rights related to homeownership. LAFLA is a nonprofit organization that assists low-income individuals and families with legal issues at reduced to no cost. Javier Beltran shared about the legal implications of homeowners renting a room or a garage without proper notice to the City/County’s housing department. He emphasized that renting out a garage, unless there is a certificate of occupancy that allows renting, that it is prohibited from doing so. Homeowners will be cited by the local housing department and/or Department of Health and Safety for violations. He also shared that for any discrimination issues or unfair treatment during the home buying process, individuals can contact California Employment and Fair Housing to submit a complaint. Antonio Sanchez of Opening Doors Realty presented on how to get an offer accepted in the current market. As the current market is a seller’s market, it is important to be competitive with other bidders to make sure the offer is accepted. Some ways to make sure include providing a complete offer, getting a pre-approval versus a pre-qualification from your mortgage lender, a short letter stating why you like the home, asking price being at listing price or above, and having a good Realtor experienced in the down payment assistance programs. Lastly, the seminar concluded with topics related to homeowners. George Guillen from HCIDLA spoke about the City’s HandyWorker program, a way for seniors and disabled/handicapped homeowners to get up to $5,000 in minor home repairs for free. Income limits do apply to qualify. The types of repairs include interior, flooring, ceiling, walkways, gutters, fences, and more. There are also opportunities to re-apply for the program after three years to get additional repairs. Unemployment Mortgage Assistance Program – Up to $3,000 to help pay the mortgage payments for up to 18 months. Mortgage Reinstatement Assistance Program – Up to $54,000 to help with past due amounts. Principal Reduction Program - Up to $100,000 to reduce the loan balance in making mortgage payments more affordable or to match the market value for the home. If homeowners have previously applied and did not qualify due to income limits, the program has increased its limits significantly for 2017. For example, Los Angeles County is at $91,361 or lower to qualify. For those interested and to check eligibility, please contact KCCD/FACE to schedule a free counseling session by calling 213-985-1500 or email at info@kccd3300.org. English, Spanish, and Korean-language counseling available. The event concluded with a grand raffle prize giveaway of a big-screen TV. Individuals who are interested in any of the various programs mentioned may go to www.kccd.org or can contact KCCD/FACE by calling 213-985-1500 or e-mail at info@kccd3300.org.